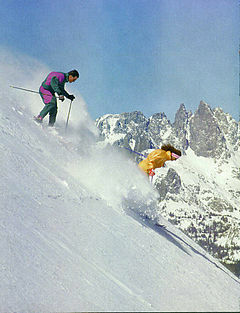 Mammoth Lakes/Owens Valley:On the eastern slopes of the Sierra Nevada, Mammoth Mountain offers 30,000 feet of downhill runs plus superb cross-country skiing in winter. Mountain bike down the same slopes in summer. While in the area, visit the 100-foot-high Rainbow Falls, June Lakes, and Devil’s Postpile National Monument, a fine example of columnar basalt. Around the community of Mammoth, you can enjoy fishing, golfing, and horseback riding, and you’ll find plenty of places to stay. Between the magnificent Sierra Nevada and Inyo/White Mountain ranges, Owens Valley is a scenic place to camp and explore. At 4,000 feet elevation, this high-plains landscape is replete with glorious fall colors, gorgeous spring wildflowers, and year-round fishing in the Owens River. Visit the historic buildings and exhibits at the Laws Railroad Museum in Bishop as well as the Paiute Shoshone Indian Cultural Center Museum. East of Bishop, in the Inyo National Forest, take a look at the oldest living things on earth, the gnarled bristlecone pines, more than 4,700 years old. The Eastern California Museum in Independence is dedicated to Native Americans. Tour Manzanar, the World War II Japanese-American internment camp. Stop in Lone Pine for its spectacular mountain views, especially Mt. Whitney-the tallest peak in the continental United States. Some 2,000 climbers attempt the summit each year.